What God is doing amongst Muslims these days is quite remarkable, but this has generated difficult questions for Christian churches in predominantly Muslim nations, as they work through issues of contextualization. What should Christian churches look like in those contexts? The debate over the “Insider Movement” is quite intense these days, with both missionaries and former Muslim believers lined up on both the pro and con side. 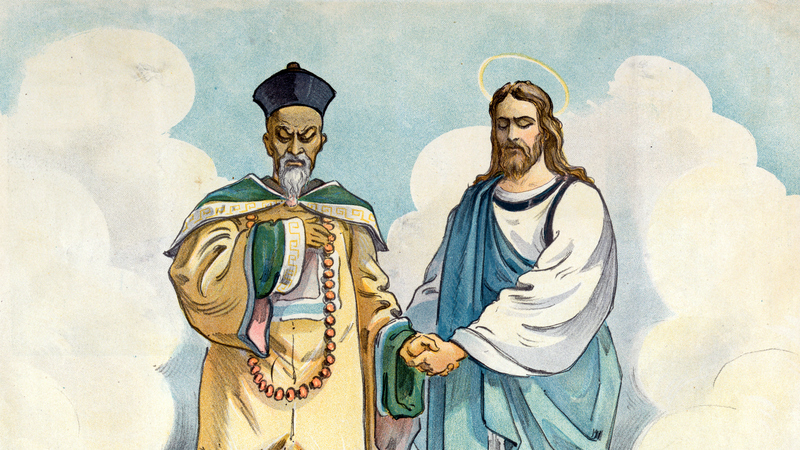 Christianity and Confucianism continue as two of China’s fastest-growing belief systems, thinkers on both sides continue to debate their proper relationship. As a result, the two sides are experiencing a “warming of relationship,” said David Ro, director of Gordon-Conwell’s Center for World Missions and the Lausanne Movement’s deputy director for East Asia. “Only recently are some Christian thinkers in China making a deliberate effort [at] better integration,” said Fenggang Yang, director of Purdue University’s Center on Religion and Chinese Society. But most Chinese see Confucianism as only a “moral system,” said Yang. Meanwhile, he argues, churches have sought not to rival or replace Confucianism but to revitalize and transform it, emphasizing parallels with Christianity in order to evangelize in a Confucian context. This entry was posted in Christianity, Theological method and tagged China, Confucianism, contextualization. Bookmark the permalink. Calvinists (no matter what lying extras they try to add to that term) will oppose Confucianism precisely and only because it is a moral system. Whereas true Christians will acknowledge that it comes from the natural law that God put in all mankind’s conscience. I think Confucianism (as I understand it from the Analects) has many teachings that fit quite nicely with Christianity. Confucius does not often focus on God or the afterlife but he does emphasize the importance of education, caring for the family, and justice. These types of things could easily be seen as conversational bridges for preaching the gospel. However, the concept of praying to ones ancestors (which Confucius mentions often) and some pantheistic elements that, at times, seem to be found in the system need to be clearly demarcated as out of line with Christian orthodoxy. I think, though, that Confucian texts could be used in much the same way that the early church used Greek philosophy (though some theologians went too far with it, I suppose): take what is helpful and compatible with Christian theology and leave what is incongruous with it.